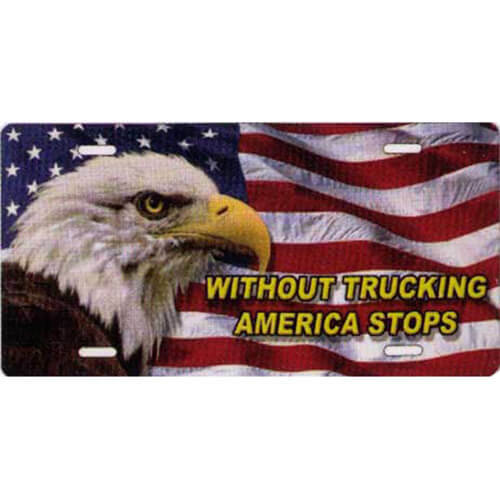 Car and truck themed novelty license plates. 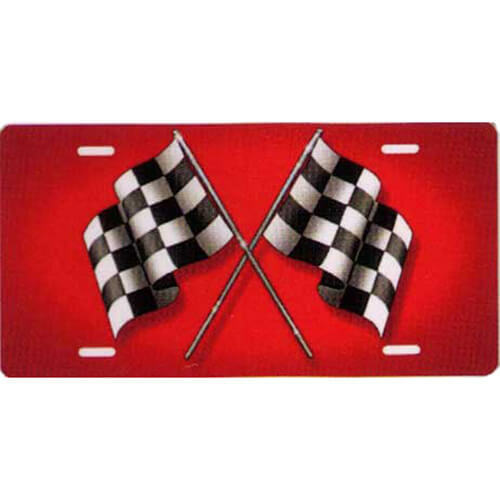 Racing checkered flags on a red background. 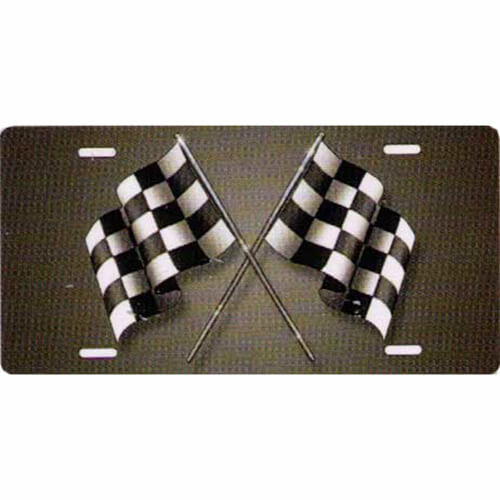 Racing checkered flags on a grey background. 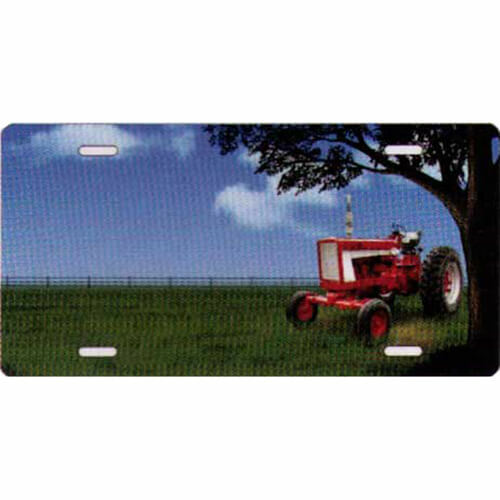 Farm tractor in field under a tree. 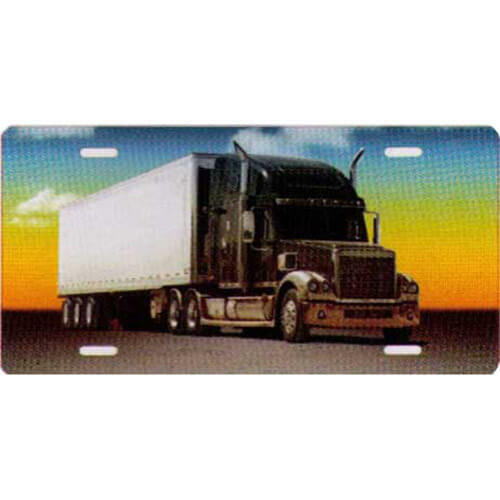 Semi tractor and trailer on a sunset background. 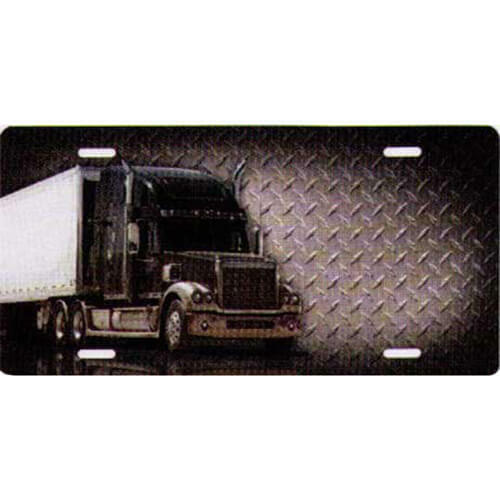 Semi tractor and trailer on a diamond plate background.